Arthur J woke to the sound of voices that were coming from outside the ship. How could that be? They were at sea. He got up, opened the drapes, pulled open the glass door and went out on the balcony of his cabin. He looked below. They were in port, tied to the dock in Sydney, Nova Scotia. The voices were coming from the people on the dock; he hadn’t imagined hearing voices. They were real. He turned to the right and saw the biggest instrument he had ever seen. It looked like a big version of the violin that Yundi played in the “Can Do” Street Community Center orchestra back home. Just then Grandma Maureen joined him on the balcony. Arthur J said, ” Look Grandma, a large violin.” Grandmas Maureen gave him a smiled and gave him a morning hug. 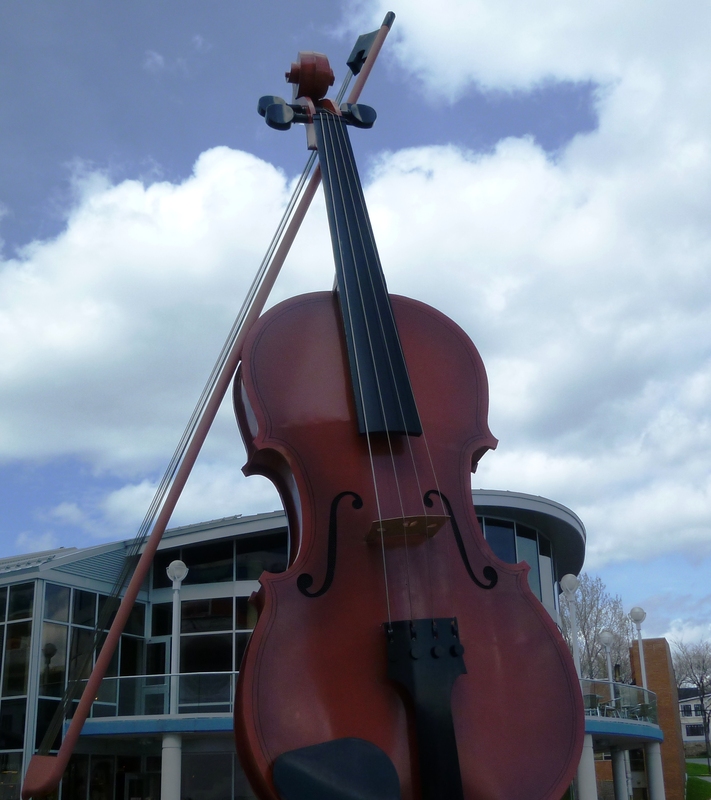 Arthur J looked confused and asked, “But why is the largest fiddle in the world here and not in a big city”? So that is just what they did after getting dressed and having breakfast; they got off the ship and got their pictures taken with the Biggest Fiddle in the World! Be sure to come back soon to read more about Arthur J’s, Annie’s and Kathy’s continuing cruise adventures!